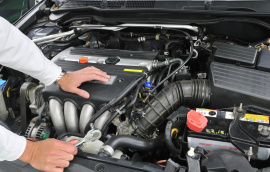 Get your first service at Somerset Garage for only £79. Call today to make an appointment. Ts & Cs apply – Up to 2L engines only. At Somerset Garage, we deliver quality work at a fair price and to the complete satisfaction of all our customers throughout Ayrshire. Somerset Garage in Ayr is a family run mechanics business giving a reliable service and fantastic prices. 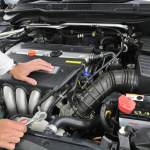 We can service and repair most makes and models of car, van and 4x4. We cater for minor or major repairs, from simply repairing a horn that doesn't work, to full engine replacement and we can either use manufacturers own parts or patent parts. It's your choice but we are always happy to quote for both options and let you decide. Don’t buy a lemon! 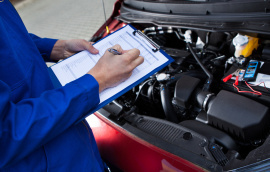 Our certified mechanics will go to the seller’s location to inspect the used car! It is a great way to receive independent advice and peace of mind when buying a used car. 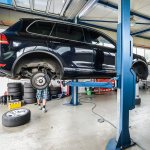 Somerset Garage undergo training so that our knowledge of your vehicle and diagnostic equipment are fully up to date. This allows us to work quickly and efficiently saving you time and money. Somerset Garage service all performance and import vehicles through to track and race cars. Whether you car requires a routine service, repair or perhaps some modification, then give us a call. I looked up mobile mechanic on the internet and found Somerset Garage. James came to my door step and pick up my car, serviced my car and fixed all the problems. I recommend Somerset Garage in Ayr to anyone. I loved the convenience of the car being picked up. I didn’t have to worry about dropping off my car to a workshop. Love your work! Using James was a tricky decision as my uncle is a mechanic and has been taking care of our family cars. But after meeting James at Somerset garage – this was a decision i didn’t need to think about. Although it was a small job fixing my brakes, the service was excellent. I went in at 2:30 and was out by 3:30 Thanks for your excellent service. 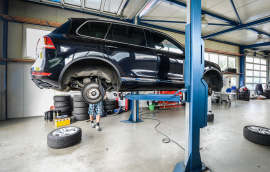 Somerset Garage is a long-established, family run business, employing friendly and experienced staff who carry out servicing, MOT and repair work on all makes of cars and light commercial vehicles. If you are looking for a first-class service, at very competitive prices - you have come to the right place! We also offer FREE local collection of your vehicle and a fast turnaround time to fit in with your busy schedule. We put our customers first. 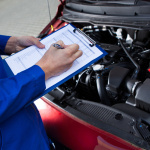 We listen to you and help solve any problems you have with your vehicle. Come visit to see what we are all about.